Having staged the Telkom 947 Cycle Challenge for 20 incredible years, we’ve had the pleasure of hosting many loyal riders time and again. If you have missed a few Cycle Challenges, there are some new twists and turns. One of the early adventures is a lap along the Kyalami Grand Prix Circuit track which has recently been upgraded. The ride through the southern portion of the city now skips Hillbrow and covers more of the M2 highway before heading over the Nelson Mandela bridge. Since 2015, those long drags along the N14 are gone, and the finish now takes place in Riversands Commercial Park. This has added the challenge of five short-steep climbs over the last 15km. Why not see whether you can beat your previous time? Many people who have already ridden the new route agree that the first 70km is a warm-up for the end portion. According to most the best way to deal with this is to set an average speed and help each other to pace sensibly. Each rider can then choose which hill to attack at the end. Let’s see how fast you and your group can go! If chasing time no longer appeals, your experience still has plenty of value. Why not enjoy the pleasure of spending more time on the road by riding at your own steady pace? Coaxing friends or family members who are newbies to the finish is also a great way to enjoy your Cycle Challenge Sunday! The Ride for a Purpose option also offers a bigger reward to spending time on your bike, beyond the physical and personal benefits. There are many different charities to choose from, and now your pedaling can help to raise funds that help to improve the life of the less fortunate. 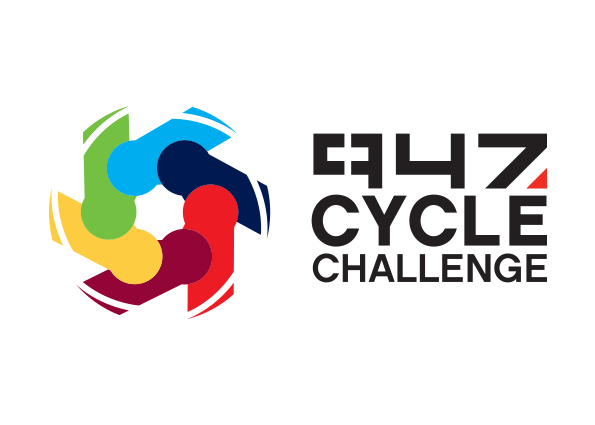 These groups have collective start times and the more experienced cyclists can offer real value to the riders who know more about the charity than riding and training. This group might also help you to sneak ahead of your personal start time! So, whether it’s for the challenge, a personal quest or just because you #LoveCycling just as much as we do, don’t have FOMO again this year. Enter, get on your bike, and get cycling!